Well, he's already surpassed my drawing abilities! 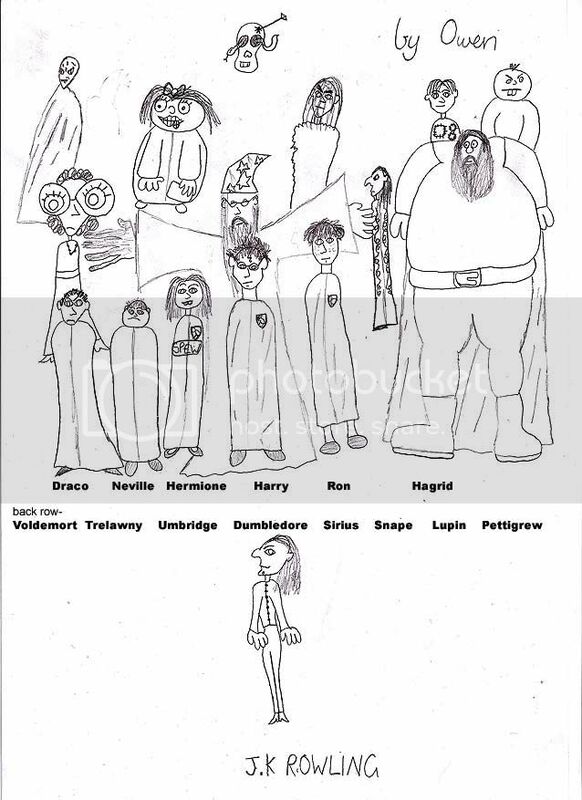 I was able to recognize all but Trelawny--only because I mistaked her for Luna, my bad. Check out Hermione's buck teeth, and Umbridge's hair bow. Perfect!